Whether you’re completing a home project yourself or hiring a contractor, home renovation mistakes can cost you unnecessary expenses. Many home projects can be done after a quick stop on YouTube. The home renovation tutorials online are endless, and can help you with a wide range of home updates and maintenance techniques–––both small and large. But, it’s important to pay attention to the details and understand your own capabilities to complete the project properly. Some home owners are set on starting the home project as soon as possible, and don’t account for the planning time necessary to properly start the process. Evaluating the home’s structure, necessary permits, timeline and measurements is an imperative step for a successful home renovation project. It can be tedious and time consuming; however, skimping on the upfront planning can ultimately delay your project, increase your costs or even derail your progress completely. 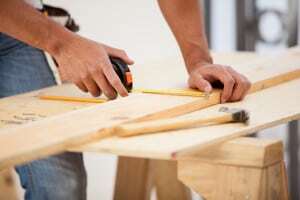 If you are doing a home renovation project yourself, pay particularly close attention to your measuring techniques. Measure and always recheck your dimensions. It can also be helpful to get a second set of eyes to ensure measurements are accurate. Inaccurate cutting is an easy-to-avoid mistake that can cause serious problems, and expenses, for the overall project. Consider the long-term value of your project, and be realistic how the renovations will impact your home’s value. This may not be a priority for some, while other owners will see it as a leading reason for renovations. Many project investments don’t increase the value of a home as significantly as some home owners would prefer, so do some upfront research on your particular home update to learn more. This is particularly important if you plan to move in the coming years. You may love the idea of purple siding, but will potential home buyers? Additionally, your tastes may change over the years. Ultra trendy updates may become stale or even unfavorable in future years. Just as every home renovation project is unique, the qualifications and quotes of each home contractor are often quite different. Have conversations with at least three construction companies and get quotes from each. Understand the specifics of what this quote entails––such as warranties, guarantees, material types, etc. And, never assume the lowest quote is the best option. Additionally, discuss the company’s specific specializations. Do they have a type of work they’re particularly good at? Are they less expensive than competitors for a specific service? Do they offer a guarantee on a product that others don’t? Finding a professional that is well versed in projects like yours can significantly benefit the cost and anticipated time for your home’s needs. Before starting updates, realistically evaluate your own abilities. Championing a project yourself may sound appealing, but if you lack the necessary skills––it will likely require an outsourced contractor to repair your mistakes. A simple YouTube video can make some updates look easy, but respect the experience professionals have with planning, potential challenges and best practices. This a major downfall for many home updates, whether it be outsourced or done by the home owners. 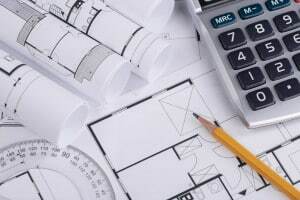 Hiring a contractor that is confident in his estimations can aid this, but having a contingency budget can also help the success of your home renovation. When planning a budget, consider potential what if situations as well as small-ticket items that can quickly add up––such as taxes, delivery costs, permits, sewer and water tap fees, etc. Even if you aren’t completing the project yourself, it’s important to have a comprehensive understanding of what the renovation will entail. Clearly communicate your expectations to the home contractor, get all of your questions answered as you have them and ask for regular progress reports. This will safeguard you from avoidable problems that could have been foreseen. That being said, don’t become a barrier in the project’s progress. Ask your contractor what their how frequently they will provide updates and how they will deal potential problems. Having this information upfront ensures everyone has a realistic scope of the renovations. Want to avoid these home renovation mistakes? We can help. Our team specializes in home siding and roof repairs that will transform the exterior of your home. We are nationally recognized as a top renovation and construction company. Tell us about your project! Jeff is a licensed builder, national award-winning general contractor and owner of Bloomfield Construction. His team specializes in residential and commercial insurance repair work including floods, smoke, fire, wind & hail damage, and, of course, roofing. The team quickly and effectively handles emergency calls, and provides accurate quotes. Bloomfield Construction works with the best in the industry, utilizing the most up-to-date technologies, to complete each and every project. Need a quote for your insurance repair or home renovation project? Give us a call today. As a professional roofing contractor we will help assess damage, estimate roofing and siding repair costs, and help you plan ahead. Get peace of mind about what to expect and how much it will cost. A Parent Company of Bloomfield Commercial Roofing.